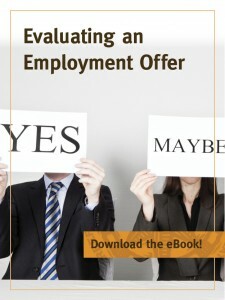 If you liked our job seeker videos, try our free ebooks! 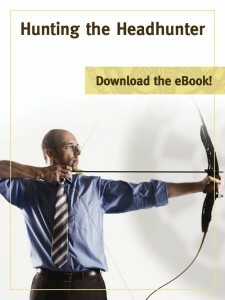 Hunting the Headhunter — This e-Book contains a wealth of information for employers who want to leverage the unique abilities of recruiters in their ongoing quest to find—and successfully hire—the best talent available. “Hunting the Headhunter” debunks seven common myths associated with recruiters, and also sprinkles helpful tips throughout. In addition, you’ll learn the “4 Dirty Little Secrets About Headhunters,” and as an added bonus, you’ll receive a special “e-Book Extra.” But we don’t stop there. You’ll also get the “Find a Great Recruiter Worksheet,” your guide for finding “the best of the best” in the world of recruiting. Presenting the Complete Job Offer — What do the best candidates in the marketplace want in an employment offer? How should you present it to them? Making a mistake during the offer phase can be costly, especially if the candidate you want is being courted by the competition. This information-packed e-Book is your comprehensive guide to nailing the interview and getting the offer. 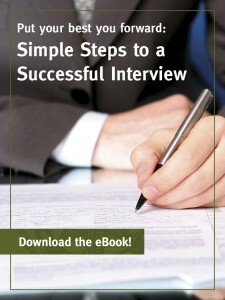 If you’re not ready for the interview process after reading “Simple Steps,” there’s a good chance you never will be.